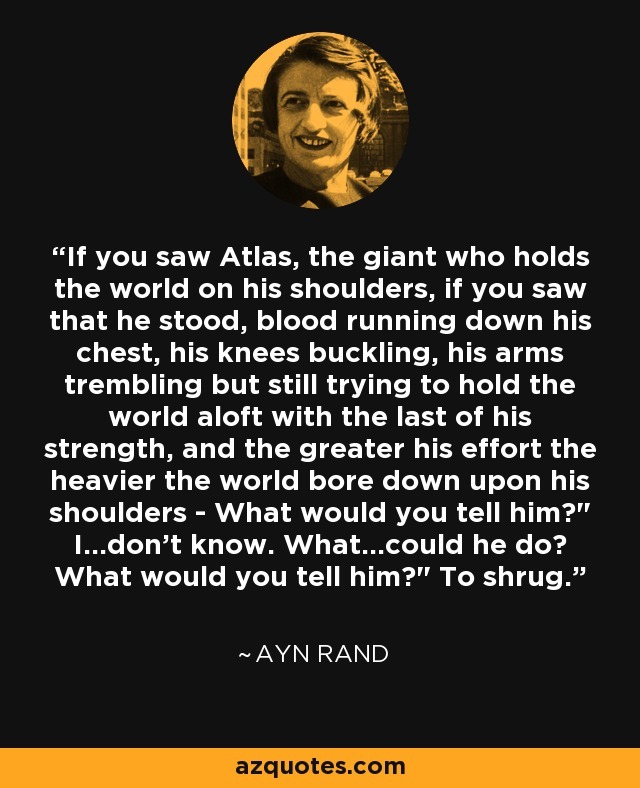 If you saw Atlas, the giant who holds the world on his shoulders, if you saw that he stood, blood running down his chest, his knees buckling, his arms trembling but still trying to hold the world aloft with the last of his strength, and the greater his effort the heavier the world bore down upon his shoulders - What would you tell him?" I…don't know. What…could he do? What would you tell him?" To shrug.